Editor Recommendation: How Do Trait Distributions Differ Across Species and Their Environments? The rise of trait ecology led to many quantitative frameworks to understand the underlying rules that determine how species are assembled into local communities from regional pools. Ecologists are interested in understanding whether environmental features select for particular traits that optimise local fitness and regulate species co-existence. 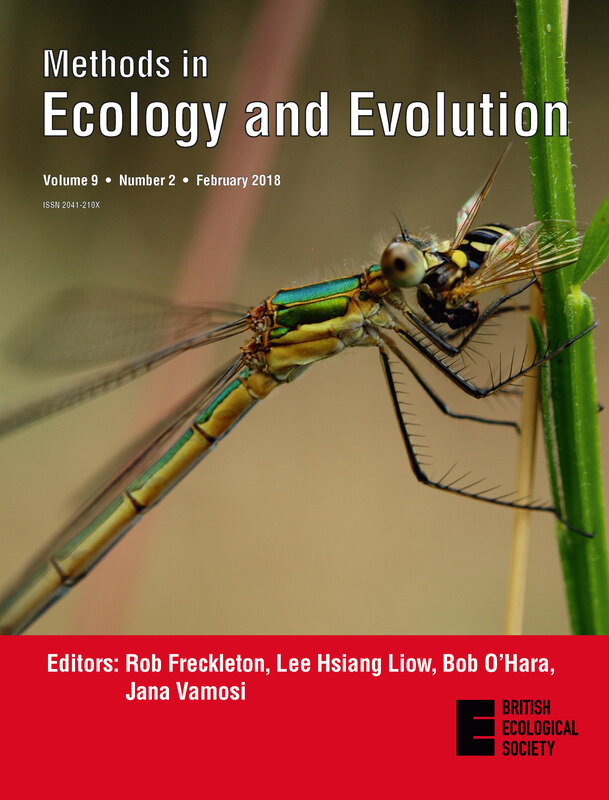 In ‘Assessing the joint behaviour of species traits as filtered by environment’, Erin Schliep and her co-authors aimed to develop a joint probabilistic model under a Bayesian framework to help explain the correlations among traits and how trait distributions differ across species and their environments. The end product is a model of trait-environmental relationships that takes full advantage of information on intra- and interspecific variation typically found within and among species. It’s a significant advance over traditional methods such as the community-weighted mean and the fourth-corner approaches. Traits and environmental characteristics can be either continuous, ordinal or categorical, allowing great flexibility regarding the types of data that ecologists commonly collect. Finally, their modelling framework can be fully implemented with the R code made available by the co-authors along with their article. Erin Schliep is trained as a statistician who had the opportunity to participate in multiple collaborative research projects addressing ecological problems early on in her graduate studies. Working alongside ecologists of the Colorado Natural Heritage Program, she helped develop a statistical model to evaluate the biotic condition of wetlands across the North Platte River Basin. Following on from this, she began working on statistical models to better understand the joint behaviour of species and how these relationships are changing across space and time as a function of changes in climate. She is currently applying these models to improve prediction of lake nutrients as part of the Continental Limnology Project. Through these experiences, she has been introduced to the many complexities of ecological processes and is interested by the statistical challenges they pose. Her research team is continuing to develop methods for statistical inference to compare community-level functional traits, focusing, in particular, on novel ways to capture overlaps in trait strategies between species and across environments. I highly recommend Erin’s article and I hope that we see more of her work in the future. To find out more, read the Methods in Ecology and Evolution article ‘Assessing the joint behaviour of species traits as filtered by environment’ by Schliep et al. This entry was posted in Editor Recommendations, Methods papers and tagged bayesian methods, Behavioural Ecology, Colorado Natural Heritage Program, community ecology, Community-Weighted Mean, Fourth-Corner Approaches, Species Traits by Chris Grieves. Bookmark the permalink.